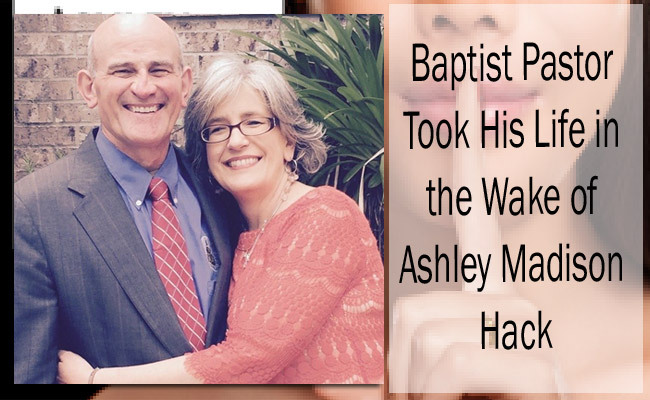 A pastor committed suicide after he could not take the shame of being exposed as one of the users of the Ashley Madison dating service. Wife, Christi Gibson, found her husband’s lifeless body on August 24. Ashley Madison is a controversial dating website known for promoting extramarital relationships. It encourages married people to have an affair since life is short. Apperently, it was on July 2015 when the site was hacked and the personal details of the customers were threatened to be exposed if the site won’t be permanently closed. Avid Life Media, the owner of the site stated that the hacked accounts are all genuine and not fake. One of the exposed personal accounts of the hackers was Gibsona and this took a toll on him. According to his wife, Gibson had gone through depression. And he was sorry about the Ashley Madison. He was known for his dedication to help the people around him and for his grave and forgiveness, yet, it seemed that he could not forgive himself. Christi Gibson also shared that her husband might have been worried about losing his job as a teacher in the seminary. For her, what John did was something the family could forgive, yet he did not think so. What he did was not worth the loss of a father and husband. John Gibson was a teacher in a baptist seminary in New Orleans and they live at a on-campus home inside New Orleans Baptist Theological Seminary. Many students had been writing online about Gibson’s great qualities as a teacher. Gibson had his Master’s Degree in divinity and a Doctorate in theology in the same college he was teaching in. While being a teacher, he was also a pastor in First Southern Baptist Church. His son, Trey Gibson, shared that everyone had struggles including his father, and his father was a great man.